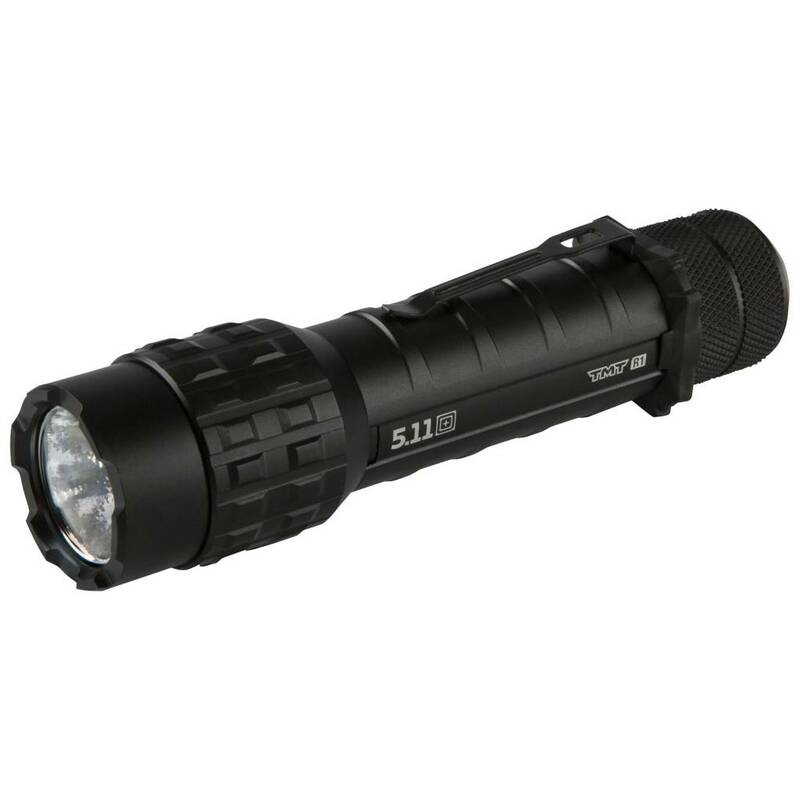 The TMT® R1 duty flashlight combines outstanding clarity, reliable durability, and rechargeable convenience, making it an ideal choice for patrol duty, tactical operations, or recreational use. 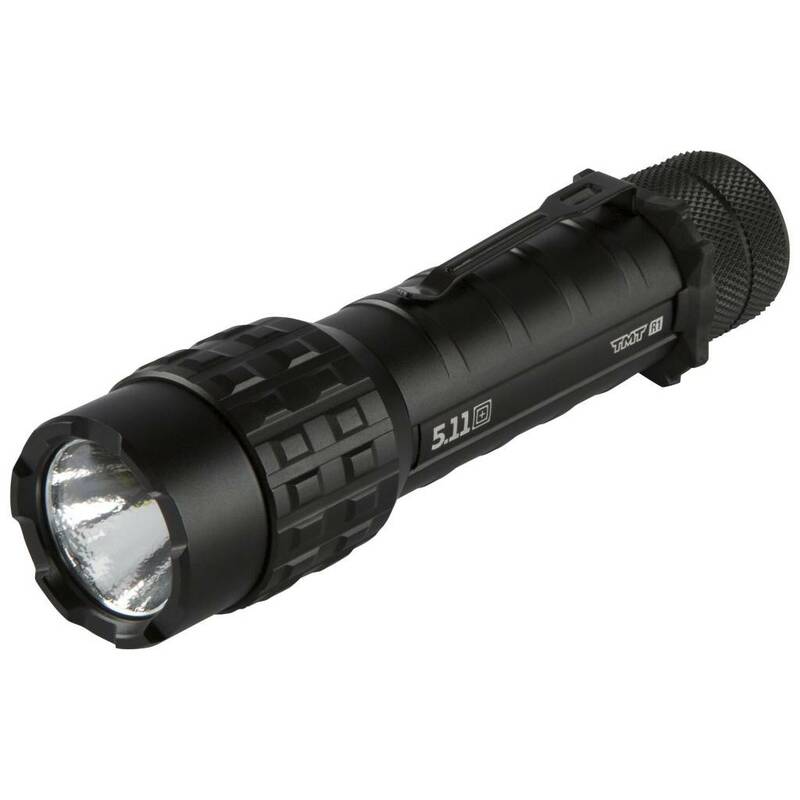 Utilizing power-smart Cree® LED technology, the TMT® R1 throws a brilliant 339 lumens of light in a bright tactical beam, and offers up to 3 hours of runtime on high mode or up to 74 hours of runtime on low mode from a single charge. 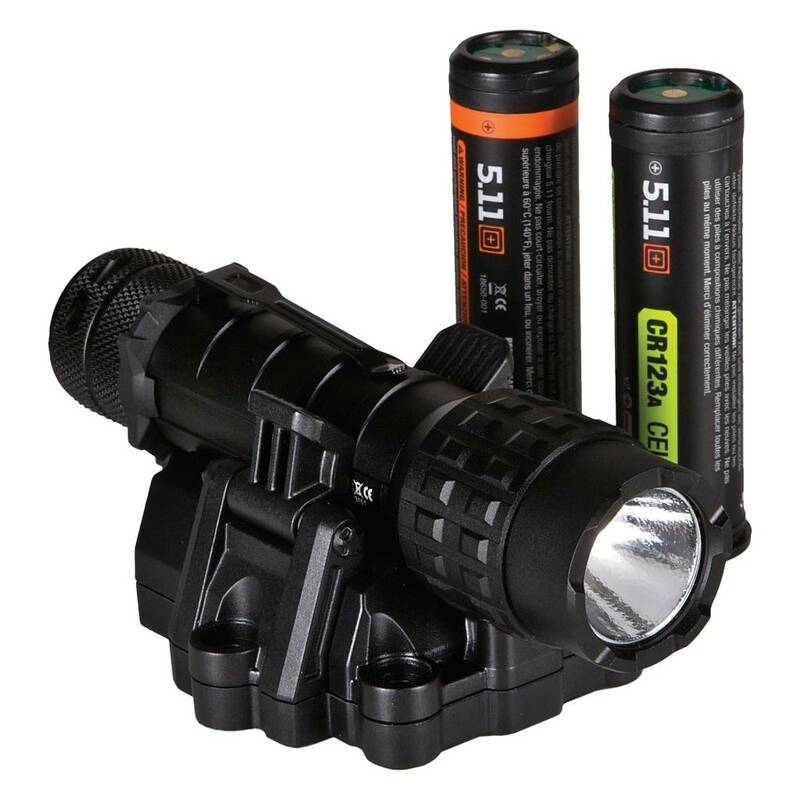 Intelligent smart switching technology allows quick and quiet toggle between three light modes – high, low, or strobe – and the momentary-on switch produces a brief blast of light without auditory cues that might give away your location. The R1 ships includes a stamped metal pocket clip, break-away lanyard, and an anti-roll ring for stable and secure carry.